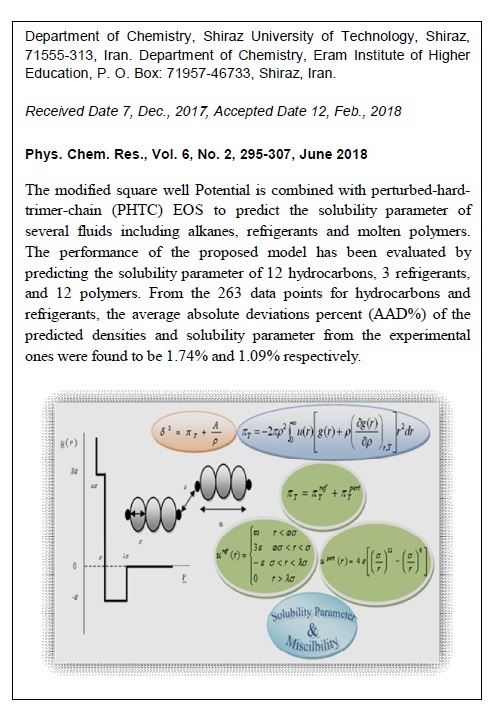 The modified square well Potential is combined with perturbed-hard-trimer-chain (PHTC) EOS to predict the solubility parameter of several fluids including alkanes, refrigerants and molten polymers. 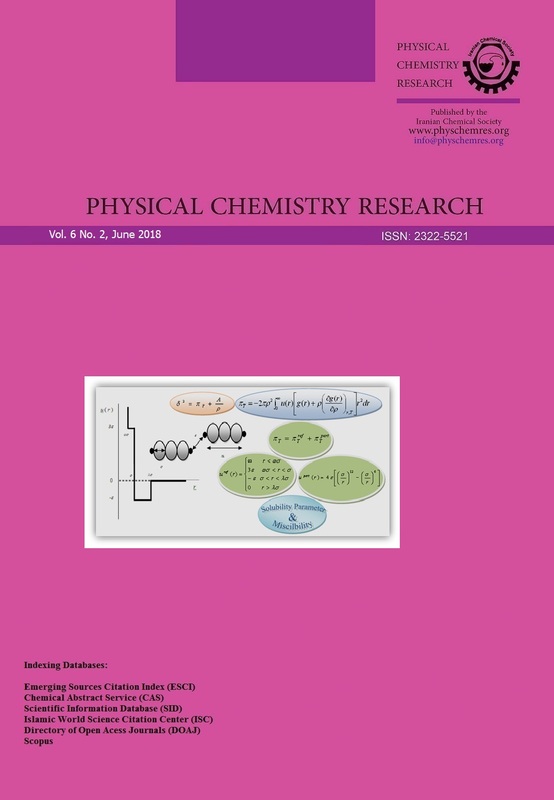 The performance of the proposed model has been evaluated by predicting the solubility parameter of 12 hydrocarbons,3 refrigerants, and 12 polymers. From the 263 data points for hydrocarbons and refrigerants, the average absolute deviations (AAD) of the predicted densities and solubility parameter from the experimental ones were found to be 1.74% and 1.09% respectively. Besides, from 1993 data points of 12 polymers, the AADs of the predicted densities were found to be 0.43%and for 60 data points examined, the AAD of the predicted solubility parameters from the experimental ones were found 0.56%, respectively.